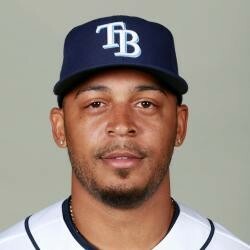 Former Rays top prospect Desmond Jennings has agreed to a minor league contract with the Cincinnati Reds. Zach Buchanan of the Enquirer reports Jennings will earn $1.5M if he makes the Opening Day roster. With Billy Hamilton and Adam Duvall locking down two spots in the Reds outfield, Jennings would at best be platooning a corner outfield spot along with Scott Schebler. As it stands, his fantasy value will be very limited.